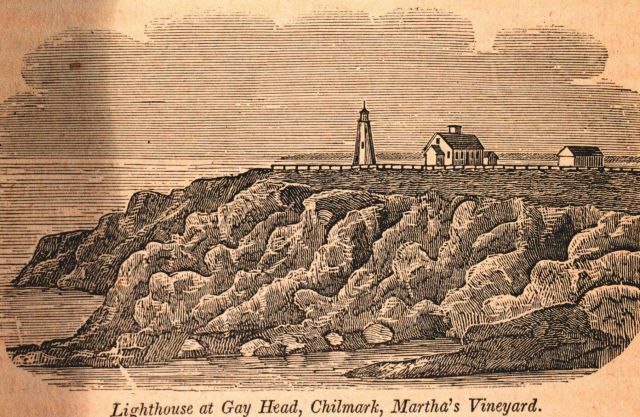 The Gay Head Lighthouse on the west end of Martha’s Vineyard. Gay Head was named for the multi-colored strata which presented a beautiful and cheerful sight on a clear day. In: Historical Collections ... of Every Town in Massachusetts. 1841.